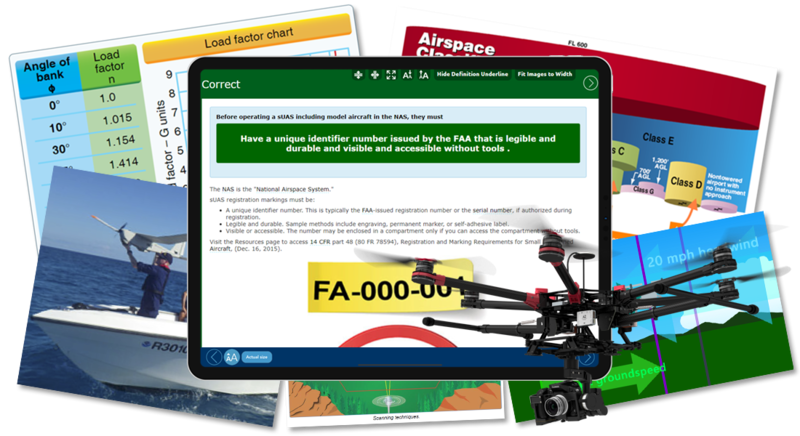 Our GroundSchool - FAA Drone Pilot Test Prep apps are designed to help you prepare for and pass the FAA Small UAS Remote Pilot in Command knowledge test. Great News! Reports from users who studied using our app(s) and then went to take the real test have been coming in and have been extremely positive, with many users scoring in the mid to high 90s or better! - JF, GroundSchool UAS user. - BH, Certified Drone Pilot. - BW, Certified Drone Pilot. “I … purchased your (UAV test prep) app…. I love it! I have about 400 hours logged in manned aircraft but out of flying for a couple years. Got this to help out as I'm going to be helping our law enforcement agency use this technology. 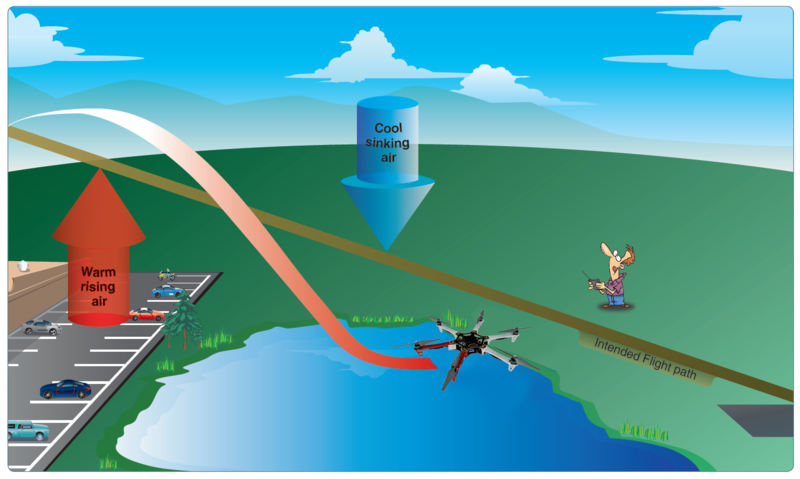 Promote a positive community image of UAS operations. Best explanations in the business! Yes! Our Remote Drone Pilot Test Prep Apps Are Now Available for all platforms! How many questions are included in this prep? This prep will prepare you for both the initial remote drone pilot - small UAS rating knowledge test and the recurrent certification test that you will need to take down the line. Remember, updates for this app are free for life, so it will be there for you when you need it. As of this writing, the prep includes 500+ questions for the FAA Remote Pilot in Command small UAS initial knowledge test and a bit less than that for the recurrent test. This number is regularly growing as our editorial team continues to add content and question variations based on experience with the actual exams. Will this prep include every possible question on the FAA Remote Pilot in Command - small UAS rating knowledge test? This prep covers, in detail, all of the subject areas on the test. Therefore, it is highly likely that that material of every or nearly every question on your exam will be covered in this prep. However, you can expect the actual wording of questions to be different on the actual exam because the FAA these days regularly changes the questions on knowledge tests as an active protection measure against those who would try to 'memorize the test.' While our updates are designed to match known FAA changes, as a general principle, you should expect that the questions that you will see will be on the same material as in our app, but may be worded or presented differently. You say the questions are different and can change... so how will your prep prepare me for this? The key difference between us and pretty much everybody else out there is that we offer a 'learning by doing' prep with superior, in-depth explanations. What this means is that with our product, instead of falling asleep while listening to some video or online presentation, your brain is actively trying to figure things out by working on the same sort of multiple choice problems that you'll see on the actual test. This means 'exploring the material' by turning to our in-depth, illustrated explanations. Active learning works! We've been making FAA knowledge test preps ince 1997 and have become a leader in the field. We know what works for fast, efficient study that will help you not just pass the test, but really internalize the material so that you can go on to become a safe, legal, and knowledgable UAS operator. How have users been doing on the actual exam after studying with your app? The first users who used our app bravely did so knowing that since the test was brand new at that stage that they were heading into the unknown. We're happy to report that the score reports we received from this initial period were very good, randing from the 80s through high 90s. Since then, we've managed to improve the content based on the experience of test takers and subsequent users have reported higher scores still. While this is no guarantee of the success of any one user (this comes down to individual study), it is clear that our app is very successful in getting people to pass the test. We're really good at making test preps, but we're not so good at marketing - we're very grateful to those of you who can help us by spreading the good word about out www.FAATest.com website on the drone forums and communities that you may happen to frequent. Are the charts and figures included? Yes! Every required chart and figure is included and fully integrated into the app. If you find the figures hard to use onscreen, there's a link inside the app to generate a PDF of the figures which you can print out. Our app's explanations feature our built in 'JargonBuster' feature where definitions of thousands of key terms and abbreviations are available in a fast, context-sensitive way. I saw some site selling 'drone mentoring' or a 'UAS university' or some other expensive course on the internet. We can't speak to any particular product or service, but from what we've seen of a few handfuls of such sites, we seriously doubt the usefulness or value of such offerings when it comes to test prep. Several of those sites claim long experience with drones, which is great (some of our editorial board members can also claim the same, and have even been involved in the Part 107 deliberation and development process). However, as far as we know, none of those places can claim any real background with FAA testing. Our prep has been developed by a team of our aforementioned 'drone guys' and our 'traditional aviation / test prep team' and together they've combined those unique perspectives into an intelligent, effective test prep experience that we think is far superior to such other offerings. Plus, ours costs a lot less, too. Does your app feature video that will drag me through the necessary material? No, it doesn't, and for good reason. 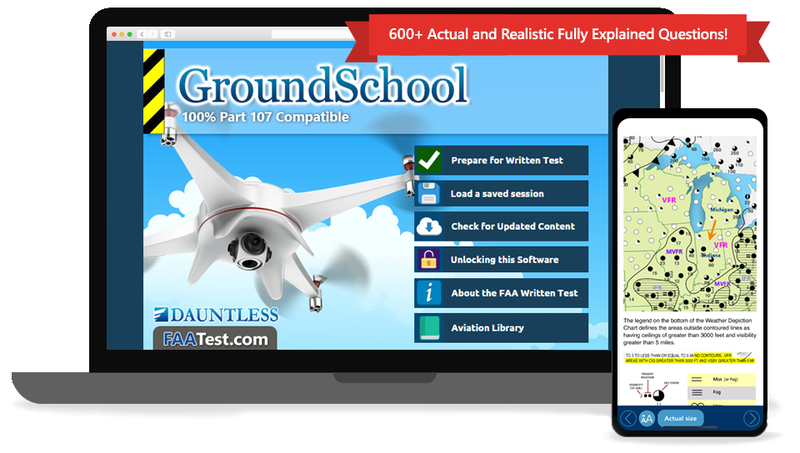 Our long experience with FAA Knowledge Tests has shown, conclusively, that such passive learning, even if you pay a lot for it, will likely be a waste of your time and money. A far better approach is to jump right in with our 'learning by doing' method where your brain is always working and where you can take advantage of our detailed, illustrated explanations at your pace and on your own time. It's a proven system that works. Hundreds of thousands of pilots and mechanics have used this method via our preps to successfully pass every manner of FAA knowledge test. What subjects are covered in the prep? If you select to prepare for the recurrency test prep in the app, only the subset of subjects pertaining to that will be presented to you. If I memorize the questions and answers in your prep, will I pass the test? Almost certainly you will not. As we said, the FAA now takes active measures to stymie those who would memorize answers. The key to being maximally prepared is to use our prep and its detailed explanations to where you actually learn and understand the material so that you are ready for whatever question varaitions the FAA will throw your way. Our app and its explanations will almost certainly cover all or nearly all of the actual content that will be on the exam - but you have to take the time to study and learn it. Our app, with its polished user experience and ease of use make this process as efficient and fast as possible. Our editorial team would love to hear from you. In the explanation pane for each question there is a 'report an issue with this question' link. Click that to send a message to our editorial team about the specific piece of content that you have concern over. our editorial team carefully reads and evaluates all feedback that comes in and, if necessary, can quickly make adjustments to the content, such as fixing the occasional typo or, more pertinently, by clarifying an unforseen misconception or extending an explanation. Any changes done by our editorial staff will then be available via the 'update' feature in the app. This integrated, fast and easy system of feedback is one of the reasons why our apps are so good. We sincerely thank those usesrs who provide us with feedback as we constantly work to bring you the best possible test prep. We thank you for your patience especially in the 'early days' after release as there may be more content issues, typos, and such that need to be addressed during this time. We will do our best to fix any such issues ASAP, especially if your question issue feedback keeps coming in! Can I take practice tests using your app? You can take an unlimited number of practice tests using the app. In addition to 'practice test' mode, the app features other study and learning modes that you can choose as best suits your individual learning style. These including flashcard modes, continuous study modes, and even an audio mode. Does the content vary by platform? The content is exactly the same no matter what platform you choose to study on. The actual apps themselves vary slightly to reflect the pecularities and capabilities of each platform, but mostly have similar features. Yes! 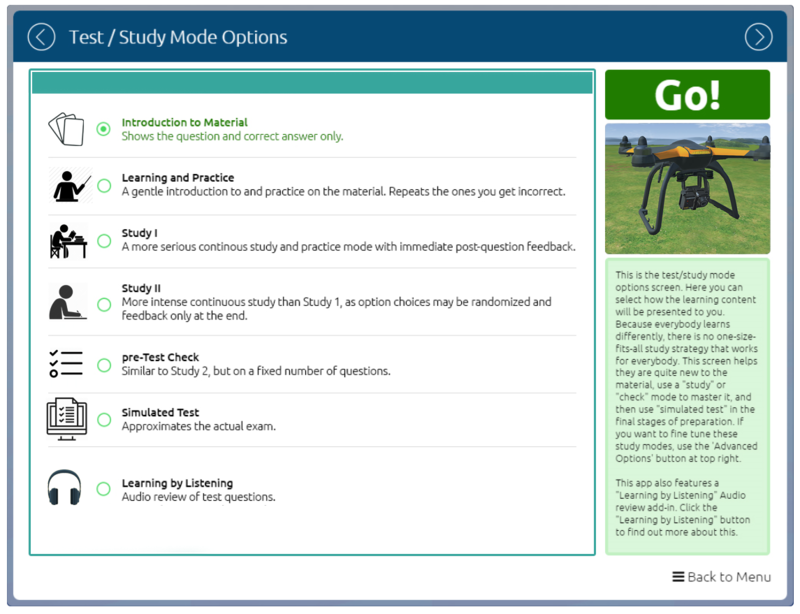 We call it 'Learning by Listening' and it's fully included in our FAA Remote Drone Pilot in Command test prep apps at no extra charge. In this mode, a human narrator reads the questions and answers and at times adds a bit of commentary to help you understand the material. While not necesasrily as comprehensive as using the app in normal modes and reading the full explanations there might be, audio mode is nevertheless incredibly useful when you can't study actively - for example, you can listen to it in the car while driving. Note that audio mode covers most but not all of the content of this app - specifically, questions that require significant amounts of chart/figure reading and/or heavy calculation lend themselves poorly to audio mode and are not included in the audio prep. Our 'learning by listening' audio prep has proven itself to be highly popular as far as our other test preps go and we think with this drone prep it should be even more so. Each app has an update screen or feature that you can periodically use to check for updates via the Internet. The process is simple and fully integrated. Due to the way the app stores work, this varies a bit by region and platform. Please visit the purchase page of the platform of your choice to see current pricing. What is the purchase process (Mac, iPhone/iPad, and Android)? Our app for each of the above platforms is available from the official App Store / App Market for those platforms. Follow the links above for the platform of your choice. If you need to type in our web address into a web browser on a mobile device, you may find it easier to just type in www.FAAtest.com which works just as well and is shorter and easier to type. What is the purchase process (Windows PC)? Download the demo version of our PC app from above and try it out on your PC. Make sure that it is working technically for you and as you like it. Once it is, click either one of the buy now links above or one of the buy now links within the PC app to start the purchase process. When you complete it, you will get an activation code emailed to you that you can use to transform the demo version of the PC software (which gives you access to 5% of the total questions only) into the fully activated title where you have access to 100% of the available question content. I am interested in studying on multiple platforms. Can I get a combo deal on for example the app for iPad and PC? Unfortunately, due to policies set forth by Apple, Google, and Amazon that we (and other app creators) have no role in setting but must adhere to, cross platform combo deals or platform switches are not avaialable. Each of the app stores / app markets, protective of its commercial interestes, makes it both technically impossible and contractually impossible to offer such combos. Apple even doesn't allow combining its Mac and iOS products. As such, our apps are available on each platform individually only.